’16 Million’ is a single-copy book, a memorial to all of those who died as a result of the First World War. 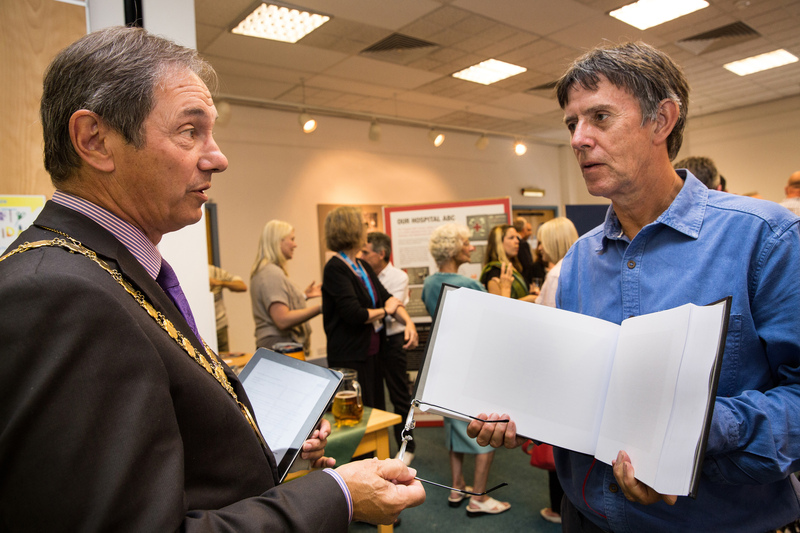 The book has been displayed in exhibitions, libraries, in poetry meetings and a gallery. It has proved to be a very effective way of visualising such a large number, so the impact has been powerful. Please let me know if you would like to borrow it. It is robustly bound (by ‘Bristol Bound’ Ltd) and generally displayed open, with a copy of the preface nearby, so that people can turn the pages. Comments collected from each venue are recorded here. 16 Million book on its wooden stand. Each page has over 20,000 dots.